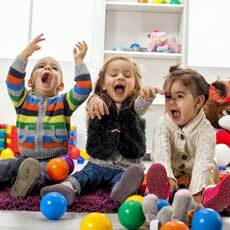 Our goal is to provide a safe, stimulating and fun environment for children to learn through participation. We incorporate the Y's core values: Honesty, Responsibility, Respect and Caring in our activities. The Upper Palmetto YMCA is committed to providing the highest quality Preschool possible. We are excited about the unique programming opportunities provided by our Preschool program. We strive to develop the whole child through programs that build a healthy spirit, mind and body for all. This program offers quality, affordable preschool programming for children ages 3-5.